DockBarX is a lightweight taskbar / panel replacement for Linux which works a stand-alone dock (called DockX), as an an Avant Window Navigator applet or as a Xfce4 panel applet. DockbarX should now be able to handle situations where there are too many open applications to show them all in dockbarx. DockX (DockBarX as a stand-alone dock) can be positioned anywhere on the screen, comes with autohide, dodge active window or all windows, can be resized, supports plugins (AppIndicators - doesn't work in GNOME Shell, Cardapio, volume control, clock and namebar - adds window title and buttons to DockX) and more. 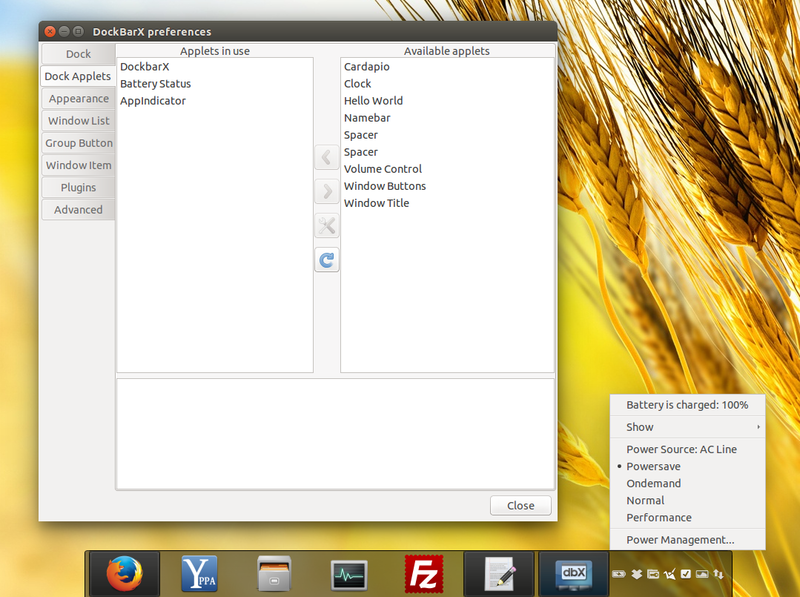 Update: the DockBarX Xfce Panel plugin 0.3 was released with support for the latest DockBarX 0.91. 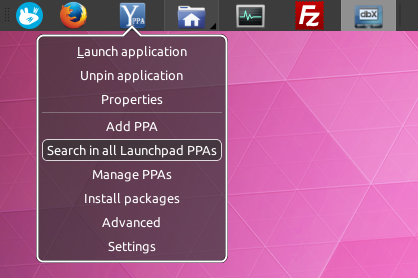 For how to install and use the DockBarX Xfce panel plugin, see THIS article.